It`s A Boy! What an exciting time for the new parents, welcoming their Baby Boy. This box arrangement is a beautiful way to send your congratulations and love. 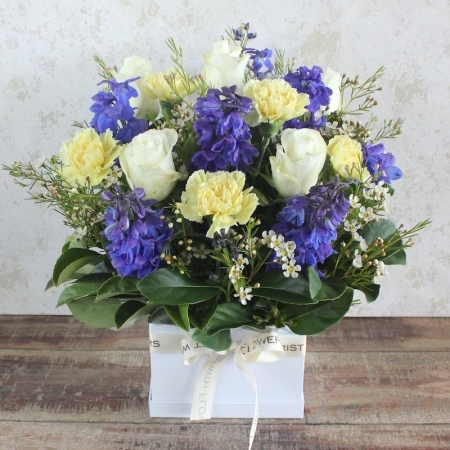 It is delivered in a white box and includes more traditional flowers such as Roses,Carnations and Delphinium in colours perfect for the birth of a Baby Boy.